Red Yeast Rice (RYR) is a natural product that has been used by Asian traditional herbalists for centuries and is produced by fermenting Red Yeast (Monascus purpureus) with rice. 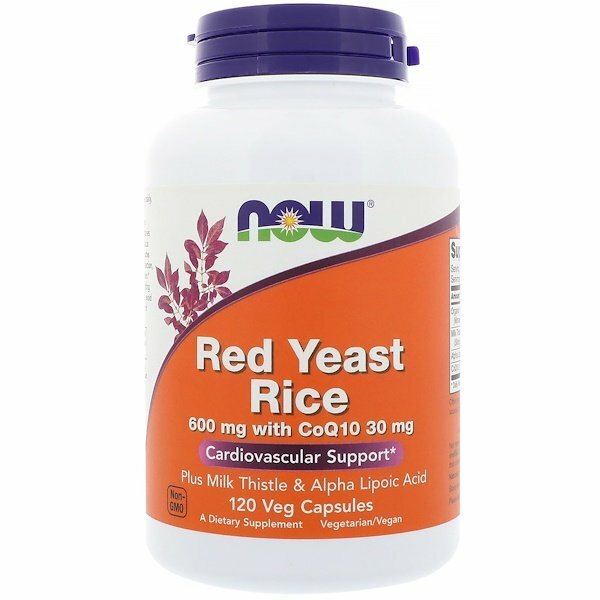 This NOW product also includes Alpha Lipoic Acid and CoQ10 for free radical protection, as well as Silymarin to support healthy liver function. 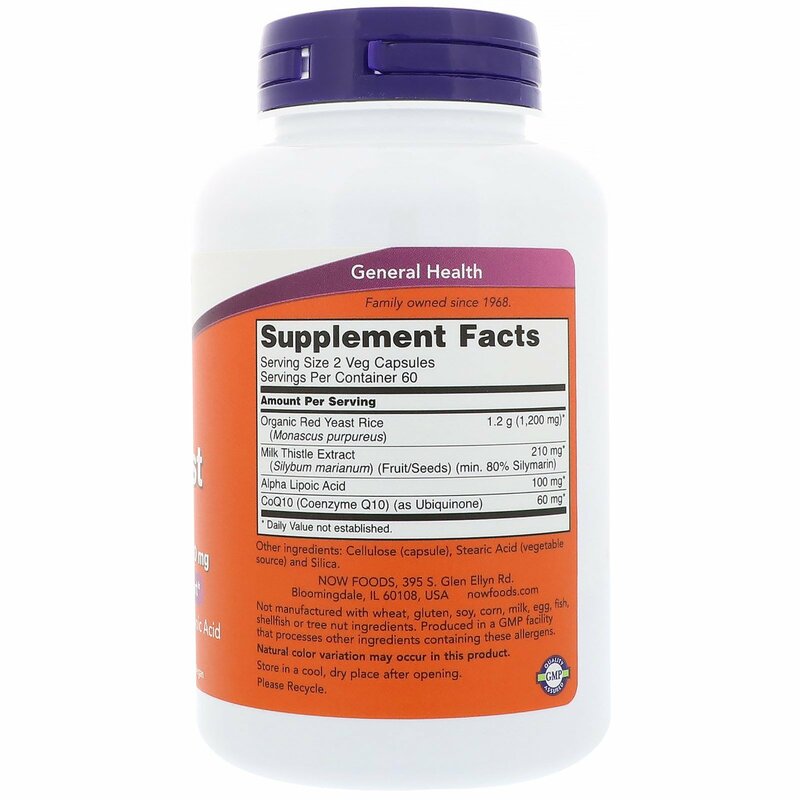 CoQ10 is also known for its cardiovascular supporting properties. 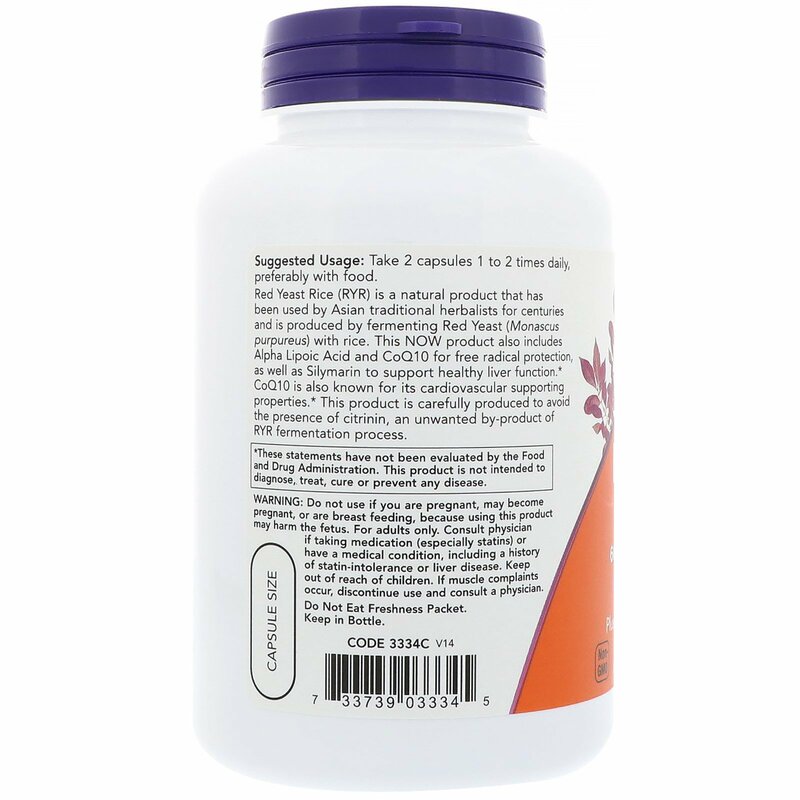 This product is carefully produced to avoid the presence of citrinin, an unwanted by-product of RYR fermentation process. Do not use if pregnant, may become pregnant, or are breast feeding, because using this product may harm the fetus. For adults only. Consult physician if taking medication (especially statins) or have a medical condition, including a history of statin-intolerance or liver disease. Keep out of reach of children. If muscle complaints occur, discontinue use and consult a physician.